The GM assembly plan in Doraville, Georgia opened in 1947 and was closed in 2008 as GM struggled to remain solvent. 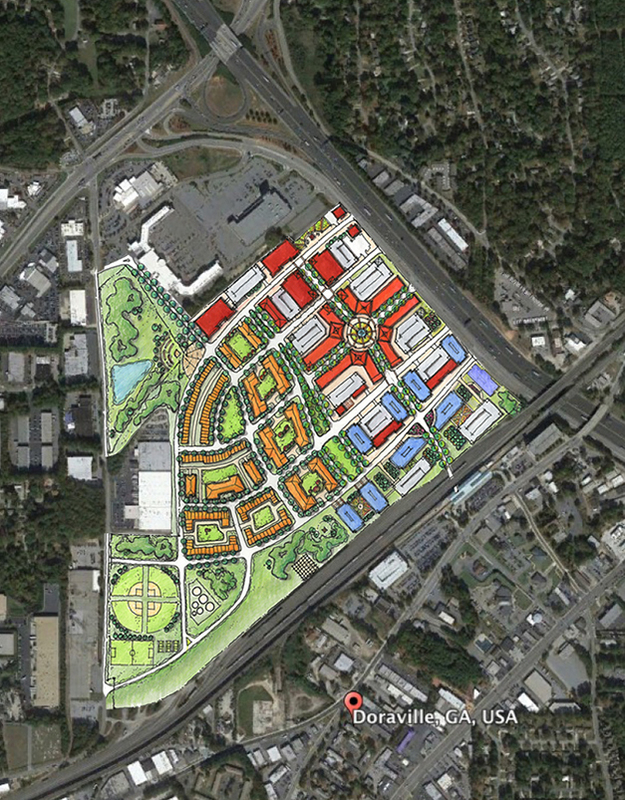 The site comprises 165 acres adjacent to the busy I-285 perimeter highway around Atlanta, and a MARTA transit station. 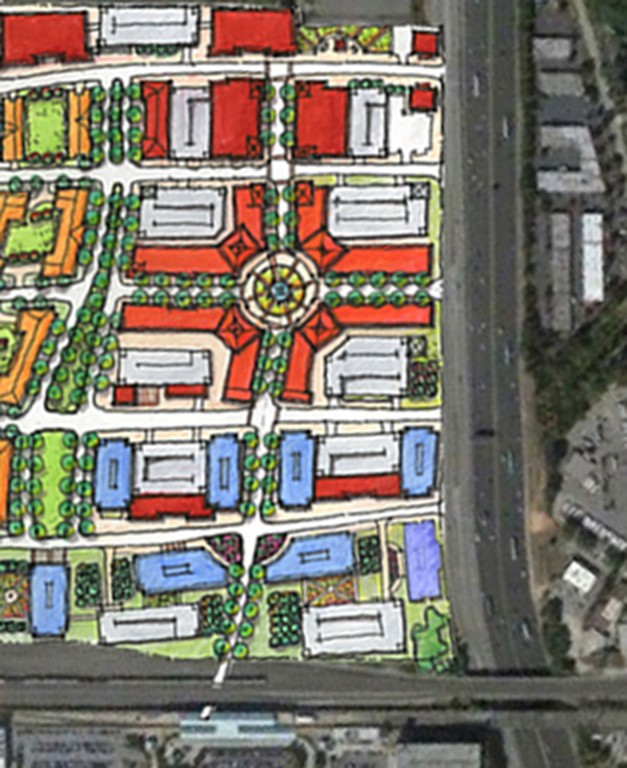 In an attempt to sell the property for redevelopment, a master plan was developed to show the potential for a new transit oriented, mixed-use development on the site. 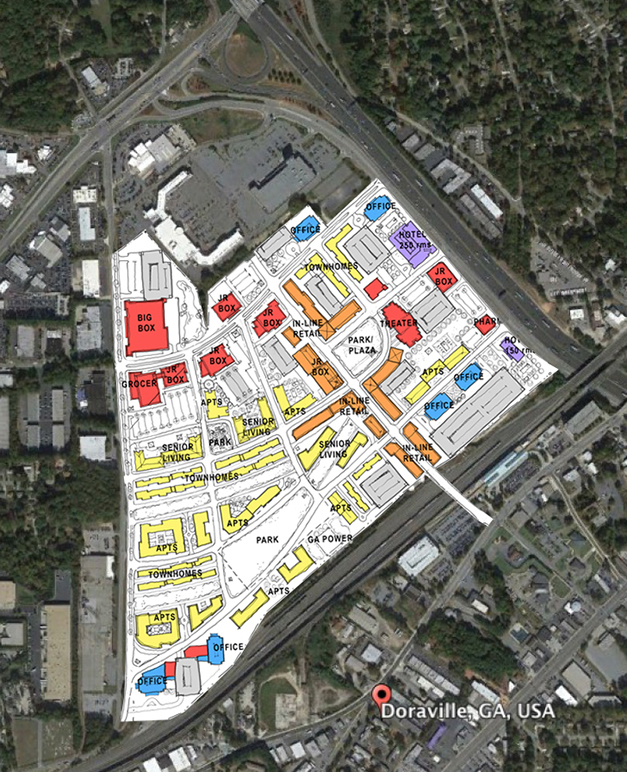 A central, mixed-use commercial/residential core leads to the MARTA station. High intensity office uses line the rail spur. Retail uses tie into the existing pattern that lies immediately west. Recreational uses buffer a proposed multi-family development from existing light industrial uses to the south. A new network of walkable blocks promote easy access to transit and help to create a park once environment. An initial concept plan begins to create a strong link to the MARTA station and a high intensity of uses. The master plan sites highest intensity uses within a 10 minute walk of MARTA, with high visibility to the I-285 corridor. The intense mixed-use core conceals structured parking along pedestrian scaled blocks. 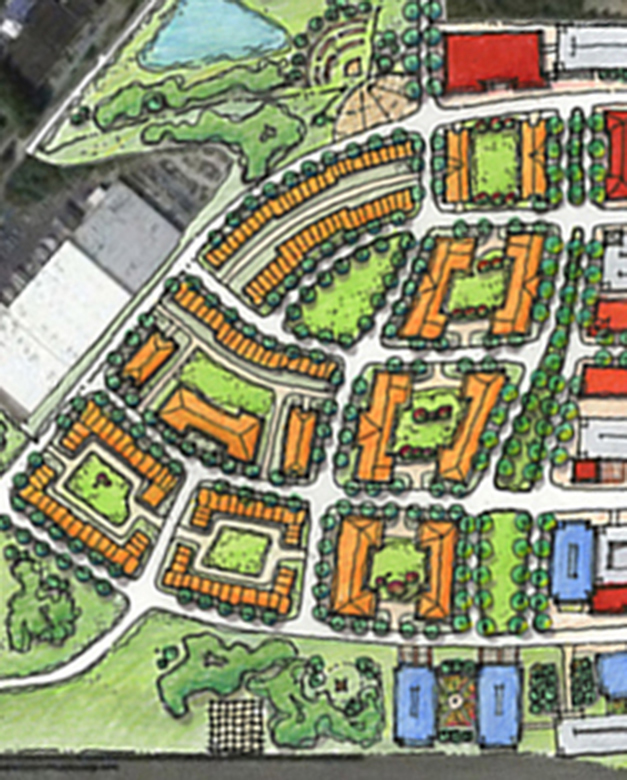 A mix of multi-family and townhome development offers a range of price points within a transit oriented development.